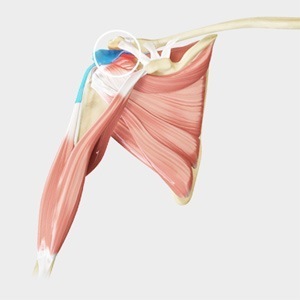 However, if after a course of conservative treatment, consisting of anti-inflammatory medication and physical therapy, your symptoms do not improve; arthroscopic subacromial decompression may be recommended by your surgeon. It is performed under local or general anaesthesia to create more room for the rotator cuff tendons. Subacromial decompression, also known as acromioplasty can be performed with an arthroscope or with an open technique (larger incision). In an arthroscopic procedure, two or three small incisions, called portals are made around your shoulder. Through one portal, the arthroscope is inserted to view the shoulder joint. Utilizing an arthroscope and video camera, the doctor visualizes the structures inside the shoulder. Your surgeon can look for any pathology or anomaly. During the procedure the front (anterior) edge of the acromion (bony prominence at the top of the shoulder blade) is removed along with some of the bursal tissue and last four or five millimetres of the clavicle to increase subacromial space for the rotator cuff tendons. After treating the problem, the incisions (portals) are closed with sutures.